I wrote about the Summer Twins here last Sunday, then enjoyed what I heard by The Burnt Ones in Rocksteady74's post a couple days ago. I discovered Ty Segall here in a post by Rocksteady74 back in July (http://whenyoumotoraway.blogspot.com/2011/07/review-ty-segall-goodbye-bread.html) and have been digging his garage sound ever since. Then I realized that all 3 are on Burger Records, a label based in Fullerton, California. I went in for a closer look at that label this morning. And wow! Burger Records is fantastic, sort of a modern day Bomp! Records, full of one great garage/pop/punk band after another. Okay, we here at WYMA officially endorse Burger Records. With gusto. 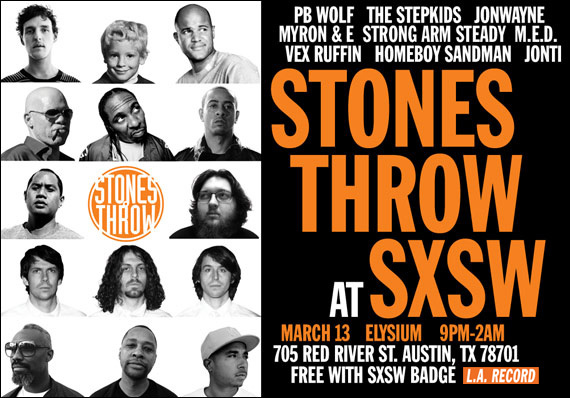 Looks like they have a showcase at SXSW next week, which alone might be worth the trip to Austin. Vex Ruffin is a wildly creative artist, melding a variety of influences both strange and sublime... Bauhaus, Public Image Ltd., Joy Division, and probably a few I don't even know. And go to the Stones Throw website to download. 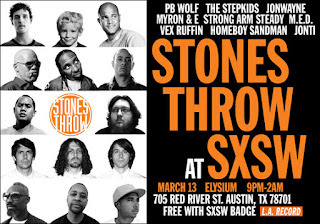 If I was going to SXSW, this would be something I would not want to miss. 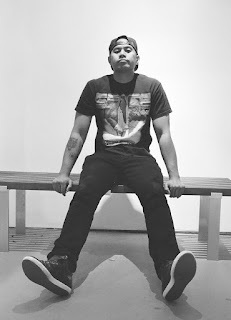 Stones Throw is putting out an absolutely amazing variety of music... of course, very creative hip-hop, but also a great deal of stuff like Vex's which just smashes together a variety of influences, samples and styles - from indie rock to darkwave to grunge - to great effect. Spend a little time on their website after you download the EP, you won't regret it. The Soul Corner - The Chambers Brothers "Time Has Come Today"
Here at the Soul Corner, we love that place where soul music and rock'n'roll meet, as highlighted by artists and songs featured on many previous Fridays - Solomon Burke, Sly and the Family Stone, The Tempts' "Can't Get Next to You", etc. This video by Lester's son Dylan Chambers launched an as yet unsuccessful campaign to get the Chambers Brothers inducted into the Rock and Roll Hall of Fame, though maybe 2013 will be their year. I'll have more to say... of course I will. I wrote about Johnny Reb last year, and it is very rare that I will write about a band again absent a new release of some sort. But as I wandered through some of my favorite playlists last weekend, I came listened again to The Portugal Years and decided that it would be a public service to bring the band to the attention of those who weren't readers of WYMA at that point, or who were sleeping in the back of the room. Originally from Manchester, the four-piece called Glasgow home when this collection of demos was recorded (in Portugal). Fans of Morrissey, the band contacted Morrissey's guitarist and collaborator, Boz Boorer, who agreed to record the group at his home in Portugal. The result is an edgy, exciting alternative indie rock with captivating talk/sing vocals that, in my view, deserved a wide audience. Here is the superb lead track, "Nine on the Line", which allegedly serves as a lament to a fallen cat and an indecent proposal to an admired female Scottish musician. I feel strongly about the quality of this EP, and given that the band is giving it away free at the Bandcamp site below, you don't need to invest more than your time to learn if you agree with me. Paul Hughes, recording as The Candy Strypers, is one of the guys keeping the jangle pop tradition going, and we thank him for his service. And you'll thank him too because the four song Soundcloud set available below is available for listening and downloading. I think you'll agree that guy from Manchester has a nice touch with a pop song. All of the tracks are good, but I particularly like "Malibu" and "Problem No 6". "Teeth" is the opener from The Ettes' latest album Wicked Will. It's limited to 700 copies on three colors of 7" vinyl, and features the previously unreleased "Safely Down the Road" on the B-Side. There are 175 copies on Red Vinyl, 175 copies on Gold Vinyl and 350 copies on Black Vinyl--the band will have all three colors with them in Austin. Or you can order it on their website, linked at the end of this post. Psych, fuzz, garage... what more could you ask for? Time for the other half of the long-lamented but incredibly fecund Uncle Tupelo diaspora to have its go at the Woody Guthrie catalog. Where Jeff Tweedy and Wilco chose to team up with British busker/troubador Billy Bragg on the excellent Mermaid Avenue records, Jay Farrar grabbed three kindred American spirits: Anders Parker (Varnaline), Will Johnson (Centro-matic and South San Gabriel) and Jim James (My Morning Jacket), and they've made a similarly excellent record that reflects the expansiveness and, in a very real way, the loneliness of Guthrie's American journey. 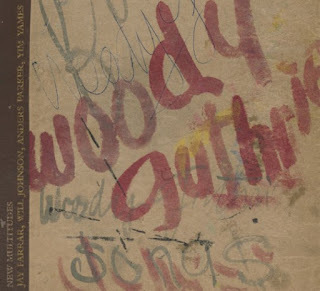 Johnson's songs kind of split the difference between the sweet and sad South San Gabriel ("Chorine My Sheba Queen" and "No Fear") and the guitar-slinging, feedback-drenched work of Centro-matic ("VD City", a raging, tragic song on which Johnson's excellent vocal puts a suitably forlorn touch). And Farrar, well - let's just say if you buy this record because you like Son Volt and Farrar's other work, you won't be disappointed. 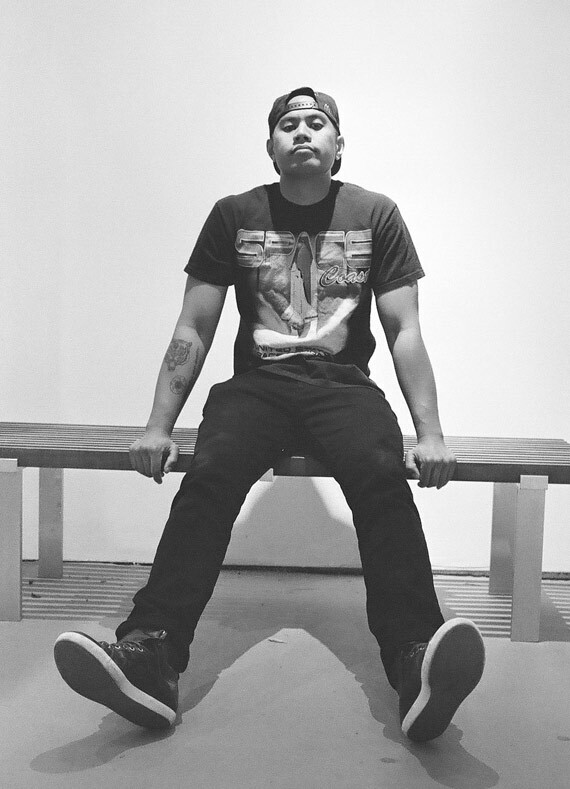 He's one of those artists who never sounds much different... and for good reason. I'd have to believe that these four artists, having built their music careers the way they have - writing their own music, seeing the country through a windshield as they built a base of support, and having fans identify very strongly with the sound and sentiment of their music - found it very easy to inhabit the persona of Woody Guthrie... and to write great music behind the lyrics. This is a really good record, and I feel fortunate - four of the best singer/songwriters working today, for the price of one record. Buy at the Undertow Music site - check out some Centro-matic while you're there. San Francisco trio Burnt Ones are releasing a new 7" on Burger Records. The tracks are "Meet the Golden One" and "LUV". "Meet the Golden One" is a delicious slice of boogie rock, and is presented for your pleasure in this following video. You can judge for yourself, but these tracks suggest to me that this band is about fun. I feel like throwing a party just so I can book them to play at it. The group consists of Mark Tester, Amy Crouch and Brian Allen. The 7" is released on two labels, Burger Records and Gold Records. 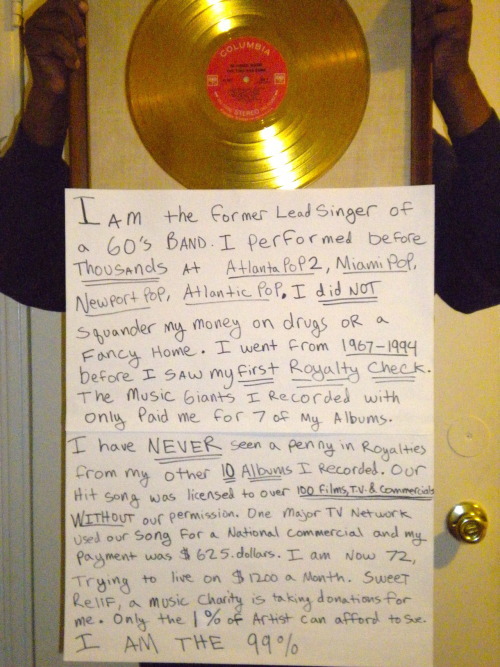 If you don't mind the digital form, it only cost $1 on Bandcamp. All Attractions is an old-school California rock album with some terrific guitar work from the multi-instrumentalist Jonathan Segel, part of what was always great about Camper Van Beethoven. The record was started by Jonathan working with fellow Camper Van Beethoven bandmate Victor Krummenacher on bass and guitar, and their SF Bay Area cohorts former King Missile/Moth Wranglers' Chris Xefos playing some bass and doing the recording and mixing, and John Hanes on drums. The lead guitar on the track "I Know You Know Me (Hey You)," you'll say "this sounds familiar" and you'd be right. It's Brett Netson from Built to Spill. This record carries a lot in common with BTS records - long songs, impeccable chops and good melodies. The first song, the 8:30 "Ever and Always", starts off with about a 5:00 instrumental introduction, reminiscent of maybe "Interstellar Overdrive"... and the album takes off from there. 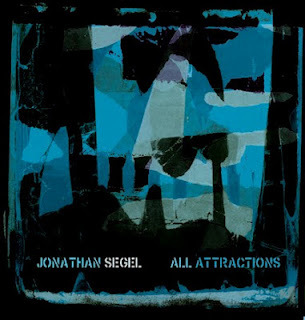 It's heavy on the psychedelic guitars, well-played and Segel's understated vocals grow on you. But the guitars grab you from the start. That's what you'll come back for. As a bonus, there's a 7-song EP called Apricot Jam which is included if you buy a physical CD. From Jonathan's website: "After the last basic tracks were recorded for the accompanying CD All Attractions, John Hanes (drums), Victor Krummenacher (bass), Graham Connah (organ) and Jonathan Segel (guitar) jammed for several hours. These were 6 tracks, which started there, taken home and made into composition out of the improvisation, (which is always super fun.)" If there's anybody out there who still likes extended-length guitar rock songs, this record is good news. Out today, and recommended. Today's single spotlight is on "Telling Lies", from the UK's Evans the Death, a tight band with incredible female lead vocals. With its fuzzy and chiming guitars, the A-side manages to pull together C86 and Creation Records influences with a good dose of Pixies-style rock. The B-side is "Morning Voice" is a softer, nearly partially acoustic affair with an appealing '60s slow-dance vibe. It nicely highlights the band's versatility. Evans the Death, which is named after the undertaker in Dylan Thomas's Under Milk Wood, consists of Katherine Whitaker (vocals), Dan Moss (guitar), Olly Moss (guitar), Lan McArdle (bass, vocals), and Rob Mitson (drums). Their UK label is Fortuna Pop!, and their US label is Slumberland Records. We understand that a full length will follow, and based on the strength of "Telling Lies", we look forward to it. Probably the hottest electro-rock outfit in Scotland is the young trio known as Discopolis. The band's new single, "Zenithobia", was released on March 5 on Kids Records. These guys were good a year ago, and the quality and maturity of their music is impressive; I predict big things for these lads. Fergus Cook, Laurie Corlett and Donald Dave Lloyd are from Edinburgh. Additional tunes can be streamed from this Soundcloud link. Edinburgh-based The Last September released their latest single, "This City", on Monday, March 5, and they have made it available for free download at their Bandcamp site. The title track is a taut post punk/indie rocker. The B-side is very well-done folk/Americana tune. The group consists of Pete Deane, Dave Bishop, Calum MacLeod, Jos Collins, and Rich BB. VIGO THIEVES - HEARTBEATS from Vigo Thieves on Vimeo. The band consists of Stevie Jukes (vocals and guitar), Barry Cowan (guitar and vocals), Gordon Phipps (bass), and Al Jukes (drums). They released the Love is Dead EP. As the title of Heart & Soul (Part 1) implies, the album is being released in two stages, with Part 1 coming out today on Hijacked Records. Part 1 has six tracks. The first track, "Wide Awake", is an instrumental. Track two, "Steal Your Heart", is a taut, emotionally charged post punk song. Track three, the above "Heartbeats", and track four, "Love Is Dead", are built for the stadiums. Do I like the ambition? Yes, I do. "She's On Fire", the fifth song, dials it down only incrementally. The final track, "Steal Your Heart Pt. II", is the album's soulful ballad, and very much worth the wait. Vigo Thieves' Heart & Soul (Part 1) is an impressive package--soulful verses, big choruses, good melodies, excellent musicianship and flawless production. I'm enjoying it; and I'm looking forward to Part 2. I saw a very cool new band last night, Summer Twins, who opened for Peter Case / Paul Collins. Despite the 3 decade difference in age between the two bands and when most of their respective songs were written, Summer Twins' shimmering, well-crafted pop fit in well with the classic Plimsouls and Nerves power pop. Which is not to suggest Summer Twins are a self-conscious throw back. Their stuff will remind our readers of some of the contemporary Scottish pop covered by Rocksteady 74 here, as well as young American pop bands we like, especially The Parson Red Heads and She and Him. Summer Twins were formed in 2008 by sisters Chelsea (vocals, guitars) and Justine (drums) Brown from Riverside, CA. They absorbed well their California pop music history, especially the Mamas and Papas and Lovin' Spoonful, as well as the Phil Spector girl group sounds of The Shirelles and Crystals. It comes bouncing out of them very naturally and infectiously, complimented by the varied textures and guitar sounds of Marcio Rivera, while bassist Danny Delgaldo brings a Motown bottom to the party. Chelsea is a confident frontwoman with a winning stage presence; if you like pure pop music at all, it would be impossible not to surrender to the joyous vibe that jumps out of her and her band. If this stuff doesn't put a smile on your face, you should maybe see a doctor.